RICH COUNTRY, POOR PEOPLE | Thoughts of a Calabarboy. 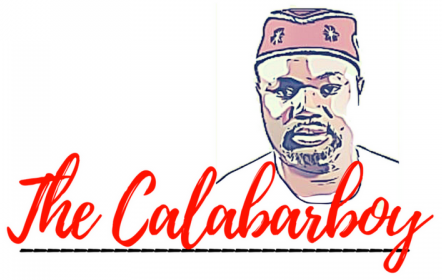 RICH COUNTRY, POOR PEOPLE – Thoughts of a Calabarboy. You know what I found out about philosophy, it clouds the mind of naked truths in the bid to be assertive about knowledge of a given field. Make no mistakes, it has its place, but when trying to hone in on crucial issues to human existence, it is best kept aside and the path of simplicity followed to spur the thoughts of the lay man in reconsidering his economic status. While the ability to discuss my issues here within theoretical perspectives and prevailing paradigms gives me a sense of bloated pride in my education, I confess that I have never gained the interest of a soul in my several complaints. I discovered that when I am simple enough, I draw attention to the details that lie at the base of any argument, thus enticing my readers to peek further. I have sworn to stick to this course. Economic conditions in Nigeria are one area I have suddenly become a doubter of the several economic theories explaining it. Some news I heard this past week got me really thinking about basics that should be of necessity in a rich country. The paradox of having poor people in a rich country like Nigeria does not have any acceptable explanation by economists even though they have tried. And I will try to explain this by simple analogies that I hope would sway some minds my way as I contend with existing conditions in my beloved country. If I were born into a rich home, with all that makes life comfortable, let me tell you some of the things I may enjoy. First I am likely to be born outside of Nigeria, given the high infant mortality rate, then I will be given the highest baby care so as to purify my entrance into a beautiful world. Next I will be fed with sheer delight while growing and be placed in probably the best school around. I may even have home instructors to refine my learning a bit more. If my parents are a bit more refined, I may end up learning musical instruments and doing a bit of soft sports. Then during my holidays, I may travel to see another country and see various tourist destinations. To cut the long story short, I will attend the best university in my country, or even in the world if I am very smart. I may never be denied the best that the riches of my home can afford and never will it occur to me that I have to strive to enjoy these things. Why? My family is rich! A silver spoon in my mouth accords me all the privileges that comes with a silver card holder in the club of global citizenship. Even a wicked family will sometimes act responsibly in giving their wards the best, at least to preserve their name. So it is not discussable whether a child born into riches should enjoy the best, it is a given. This is applicable also to any country. In the light of the foregoing, what is obtainable at the family level, I believe should obtain the national level. Some may say I am utopian, but I am glad that utopia is a destination that, gladly, people have attained who never gave up. So please don’t tell me there is a theory for Nigeria’s predicament. If the country is rich, it should and must be reflected in the lives of its citizens. The citizens are the face of the country and whatever befalls them is the fault of its family: the country. There is no reasonable explanation for poor people in a rich country. Why should Nigerians buy petrol for a price almost at par with what is obtainable internationally? In Saudi Arabia, the citizens buy petrol at 68 cents a gallon and in Nigeria we buy it for 70 naira a litre. Both countries produce the same product and are considered rich by the same. I refuse to hear anything other than privileges for Nigerian citizens. We cannot accept anything lesser than that, for it will amount to advanced brigandage and flagitious crime against the humanity of Nigerians. Meanwhile can someone help me figure out how a rich country can make its people enjoy such riches. ← CAN SOMEONE PLEASE STOP ROBERT MUGABE? You pose a valid question, a question asked by many around the world. I don’t pretend to have the answer, or know that much about your country. But two major factors involved in wealth of a nation are its trade policy (or amount of government interference), and where its wealth is located. The more free the market the easier it is for hardworking people to rise from rags to riches on their own effort. The location of wealth is a large factor also. If the wealth is in the hands of entrepreneurs that is good, because they will create more wealth, by making new companies and jobs that go with those. 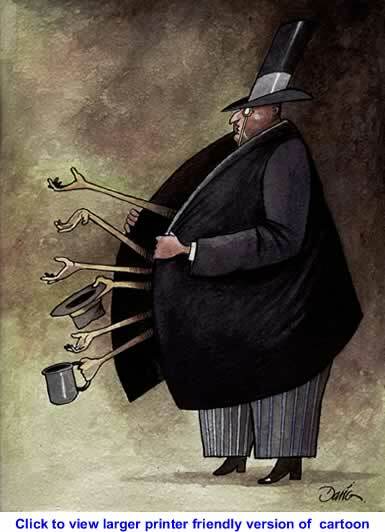 If the wealth is in the hands of rich families, they tend to hold on to things, because it was their ancestors, or grandparents who worked hard. They can be disconnected from that work ethic. As far as prices of petrol are concerned that is directly related to supply and demand, and not the wealth of the local people, with the exception of government interference. Peace man. It doesnt make a difference. there’s no major factors in his question. He’s right. The government is not responsible. Simple. Your explanations and answers will cause loops and circles that will cause more questions and explanations and it will never end.